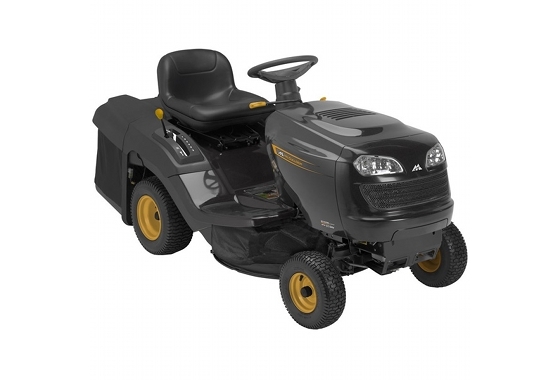 Lightweight rear collect lawn tractor with advanced integrated grass collector for best collection performance and easy emptying. Powerful Briggs and Stratton 11.5hp key start engine for easy starting. Vented deck design for advanced turbo collection with rear discharge. 77cm single blade deck, mulch capable 2 in 1 (mulch plug available, not supplied). 200L easy empty grass bag. 6 forward gears and 1 reverse.